Wrapping string lights around an evergreen tree and topping it off with a glowing star might be one of the most popular Christmas traditions. Few can deny the beauty that radiates from a lovingly decorated tree! Still, these trees—most notably, fresh ones—bring some problems, too. Pine needles are flammable while tree sap can stain your carpet until you have no choice but to rip it out. Your tree can fall over, catch fire, or do any number of unsavory things… including something that’s been surprising far too many families this holiday season. Take what happened to the Spissos family of Washington D.C. in 2011, for instance. They didn’t know about the dangers hiding in plain sight within the branches of their Christmas tree until it was too late. If they had, they might not have purchased a tree at all! So what is this thing? Some of them look like a knot of rope, while others look like a fat, furry slug with its head cut off. Regardless of their appearance, they’re all capable of causing lots of trouble if you accidentally bring one inside your house. To figure out what this thing is, consider that Christmas trees come from the outdoors.Anyone old enough to dig in the dirt knows that there’s some stomach-churning stuff out there, and that’s a phrase you could use to describe the bulb that was found in the Spissos’ tree. With all matter of creepy crawlies that call the great outdoors their home, a certain few are going to find their way into the branches of an evergreen. 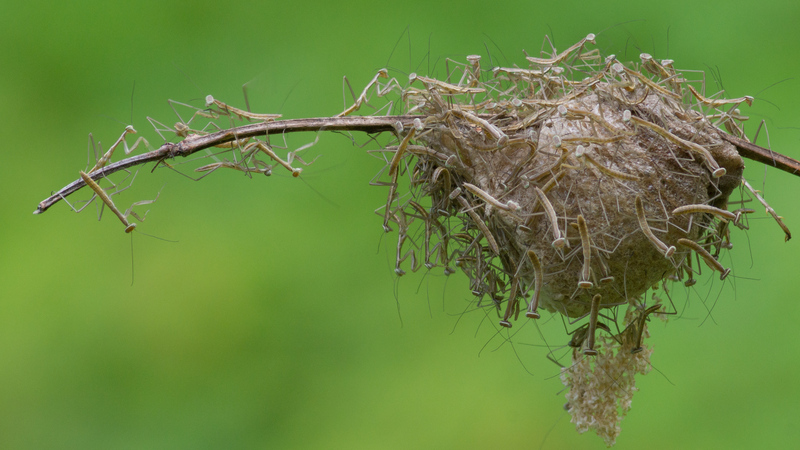 And if they do, they might create an egg pod, or ootheca, like this. So, what was inside the egg pods in the Spissos’ Christmas tree? These pods don’t just contain a single egg. Oothecas are hardened protein capsules that encase, stabilize, and protect dozens upon dozens of eggs. So, when the eggs hatch, insects come flooding out of them—and potentially into your living room. So imagine coming home from a Christmas dinner. You take off your coat, kick off your shoes, and ease into the couch cushions… when you notice you’re sharing your couch with these guys! That’s what the Spissos family was dealing with. On December 3, 2011, Heather Spissos; her husband, Matt; and their three children, Maddy, Zach, and Maya ventured from D.C. to Hardee Farms in Maryland to buy a Christmas tree. It was a family tradition they looked forward to every year. For a month and a half, the tree stood in the Spissos home, a shining reminder of holiday cheer. Meanwhile, without incident, the ootheca remained unhatched. Eventually, when the calendar hit mid-January, the Spissos family’s luck ran out. On the night in question—the night the Spissos family faced a holiday nightmare—they were out at dinner with plans to dispose of the Christmas tree later that evening. As they ate, life stirred inside the ootheca. And then, life broke through. Perhaps it was when the Spissos family was driving home from their meal that the ootheca finally spit out the rest of the newborn creepy crawlies inside. Over 200 of the insects sprung from the egg case and right into their living room. Yikes! So what, exactly, did the Spissos family find 200 of their living room? And what did they do about it? Back from their dinner trip, too late to dispose their tree, the family was face-to-face with a swarm of baby bugs that had already started eating each other out of hunger. 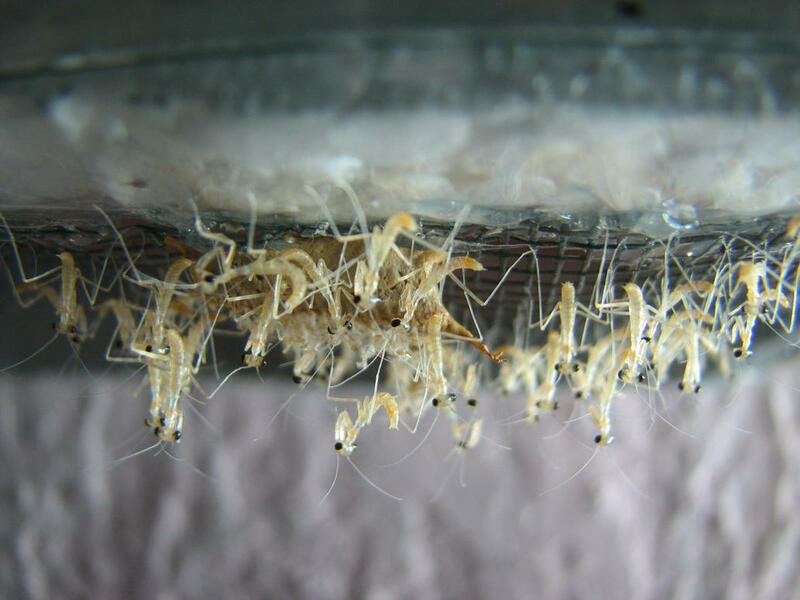 In what would be a stomach-churning, dream-haunting event for most families, the Spissoses realized their living room had been flooded with baby praying mantises. Christmas lights, evidently, provide just the right temperature for these babies to thrive. So what did the Spissos family do with 200 of these things crawling around their house?